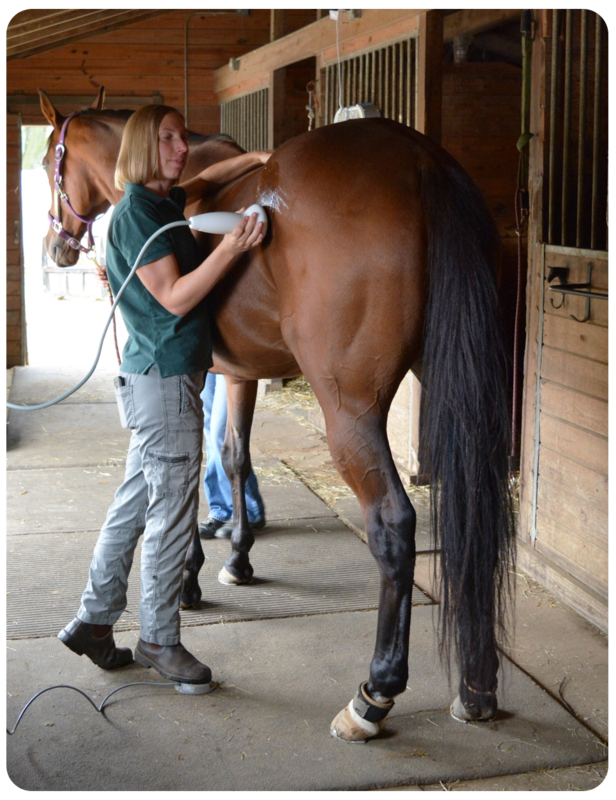 In an effort to provide your horse with the most up-to-date and best possible lameness treatment modalities, we offer portable shockwave therapy. This non-invasive treatment option is recommended for the management of a variety of musculoskeletal disorders your horse might experience and includes such conditions as navicular disease, suspensory desmitis, fractures and back pain. Multiple studies have found that extracorporeal shockwave treatment has significantly reduced the healing time in tendons and ligaments in addition to reducing the formation of scar tissue. Our machine is the type called “focused”. Focused shockwave machines direct sound waves in a converging pattern, concentrating them in one particular location. This treatment aids healing by increasing circulation, increasing cell turnover and reducing inflammation. All three of these processes stimulate the body’s own innate healing mechanisms which promotes quicker recovery. It has also been shown that horses having undergone shockwave treatment will perceive less pain in the treated area for several days after the procedure. 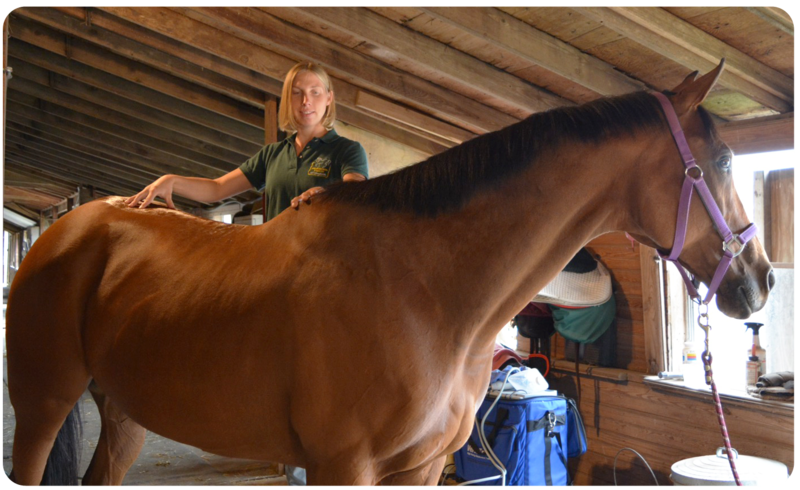 Although this appears beneficial, owners/trainers must be cautioned not to put the horse back into work just because there is a noticeable improvement; lots of time is still needed to allow proper healing. To briefly describe how shockwave treatment works, a probe, very similar to an ultrasound probe is placed over the injured site. The operator of the machine will dial in specific settings so that the energy waves are directed to the correct tissue depth. Multiple pulses (usually between 500 and 2000) are directed at the affected area. A treatment usually takes between 5 and 10 minutes to complete and typically requires two or three treatments two weeks apart. Mild sedation is usually required as it is necessary that the horse remain relatively still and as the machine does create a noise that may be startling to an un-sedated horse. Foundation Equine is with you every stride of the way!